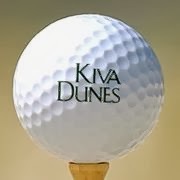 Kiva Dunes is located on the Gulf Coast in Gulf Shores Alabama. The Resort is Alabama's only true golf and beach resort and has been rated the No.1 Public Golf Course in Alabama; one of the best 21 beaches in the US according to Coastal Living Magazine. Whether you are planning a Gulf Coast family vacation, a couples-getaway, or a golf retreat with your friends, Kiva Dunes offers visitors a variety of accommodations to fit your needs - from elegant seaside homes to well appointed and spacious condominiums that are sure to exceed your expectations. Once you arrive, you can park your car and forget everything, relax and enjoy your beach vacation.